The presence of this diamond pendant will spice up any black tie affair with luxe style. 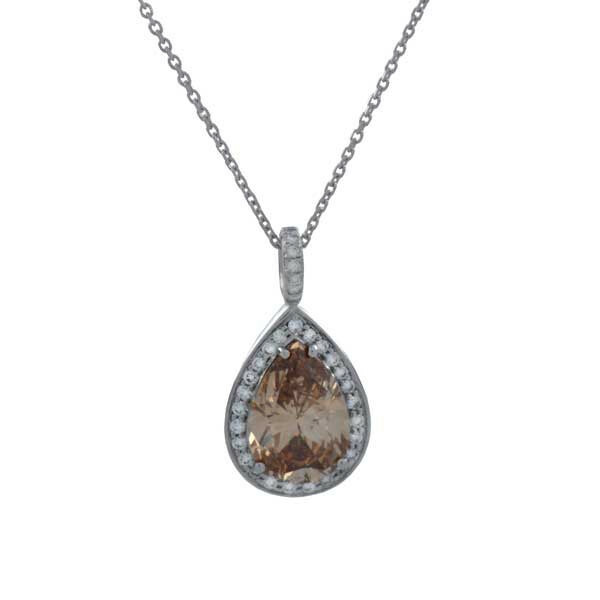 Set in platinum, this exotic pear-shaped diamond is an orange brown hue, like the color of cinnamon, and it's surrounded by a halo of white diamonds. Add this fabulous diamond pendant to a chain of your choice, and heads will turn in your direction. Please note that the chain shown is not included.